Matumbi SEVEN SEALS Limited edition green vinyl. TOP COPY. 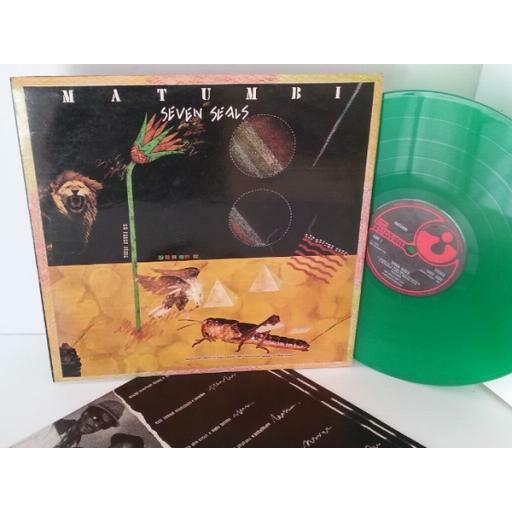 Matumbi SEVEN SEALS Limited edition green vinyl. shsp4090. 1st UK pressing 1978 on the EMI Harvest Label. Inner lyric sleeve in excellent condition. The sleeve is in excellent condition, very minimal storage wear to the cover, strong straight and uncrushed spine. The green vinyl is in excellent condition, very faint spindle marks and superficial marks on vinyl. This record has clearly not been played a great deal. Minor background noise in places.. I do not sell records that are warped or jump. All records will be posted with extra card stiffeners. If you feel the record is not as described I will give a full refund.